Summer is here, why don’t you go outside and make something beautiful for your garden. 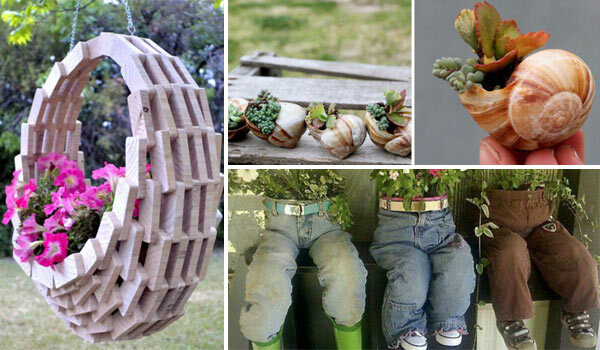 Make unique DIY garden pots for your plants and flowers is a great way to spice up your garden. More important, you shouldn’t spend a lot money on garden pots, all you need to do is to find some old item and repurpose it into amazing plant containers. So here, we’ve collected a number of ideas and examples to help get you started. Have fun!